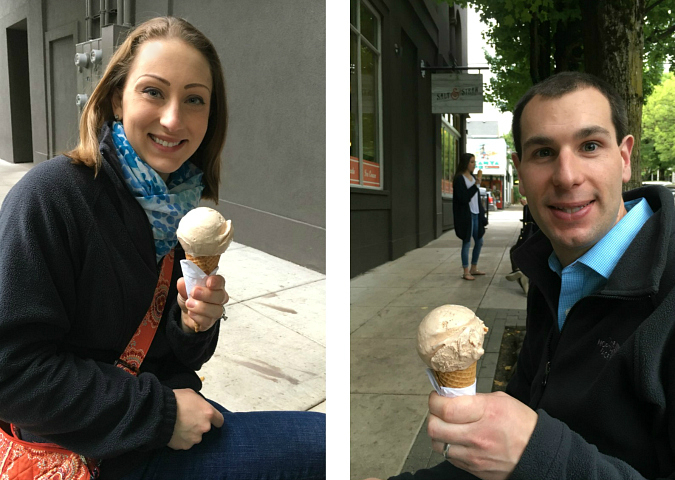 we were only in portland for a few days, but boy did we gain a few pounds. all of the walking that we did somehow didn't balance out all of the food that we ate. oops! 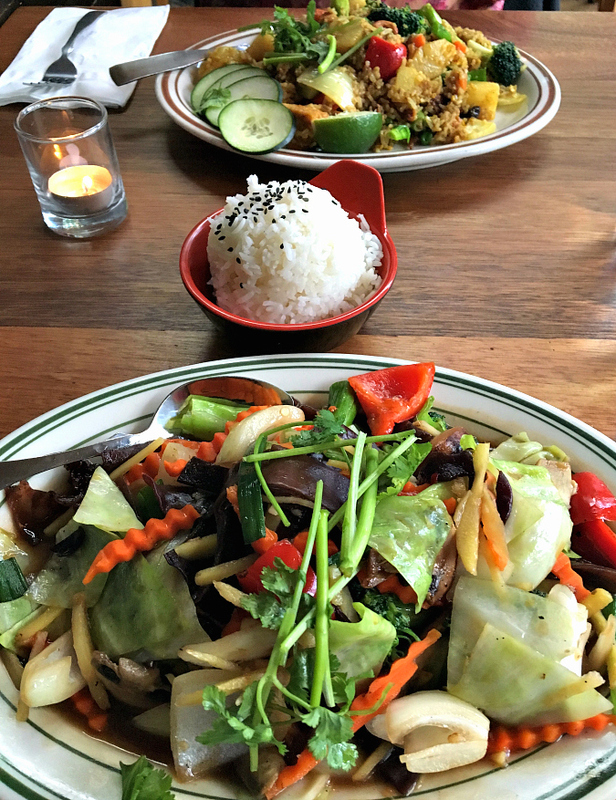 we had some good meals in portland, and since we're food lovers, here is an entire post dedicated to what we ate in portland . 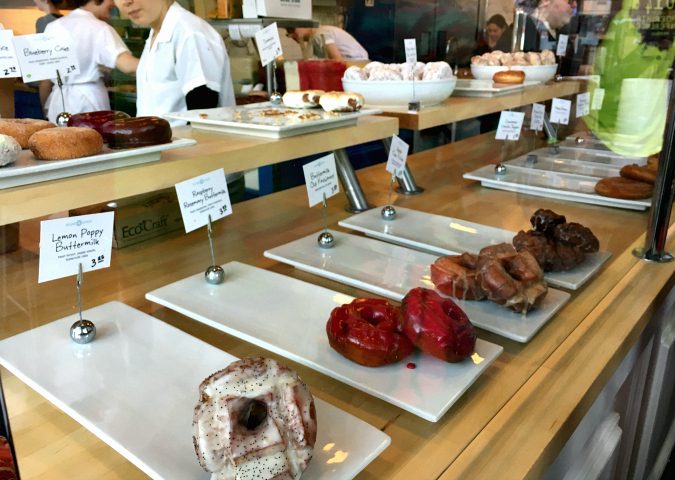 . .
as soon as i found out that we were going to be traveling to portland, the number one place on my list to try was blue star donuts. 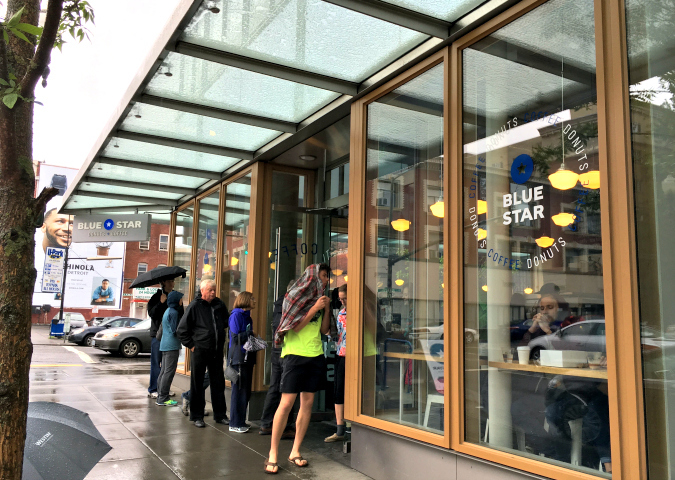 blue star is famous, and for a good reason. 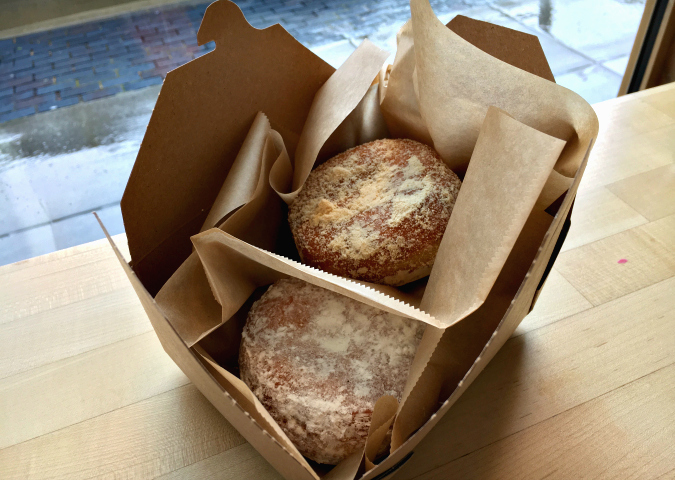 what sets them apart is their unique brioche dough recipe that takes 18 hours to make. (their recipe originated in the south of france.) they only use all natural fruit fillings and glazes and their products are incredible. 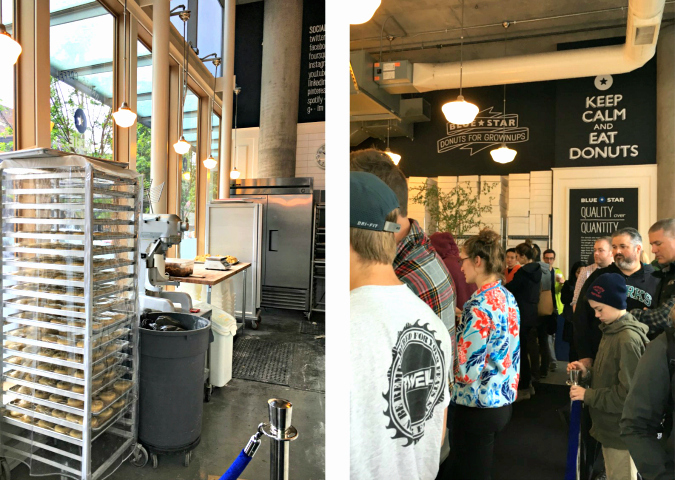 on our first day in portland, we visited blue star and shared a meyer lemon key lime curd doughnut and a pb+j doughnut. the lemon/lime flavor was so good, and the pb+j doughnut was out of this world because it had a blackberry jam with a dash of habanero and the whole thing was covered in peanut butter powder! oh my goodness. say it with me now: "peanut - butter - powder" wow! 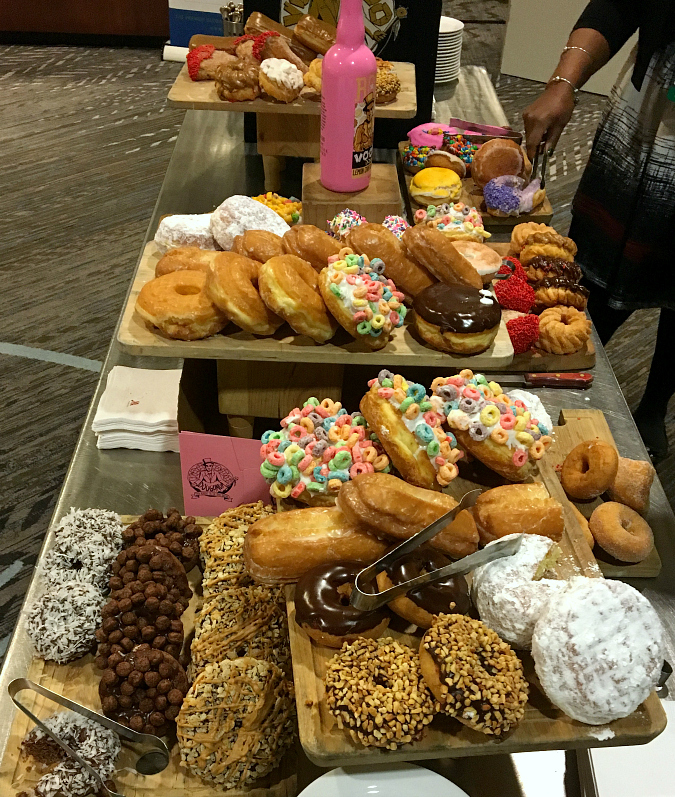 instead of taking whole doughnuts, the conference attendees grabbed knives and started cutting little pieces so that everyone could try a bite of all of the different types. it was awesome that everyone shared like that! i'm embarrassed to tell you how many we tried, but out of the ones that we sampled, my favorite was the "no name doughnut" which was a raised yeast doughnut with chocolate frosting, rice krispies, and peanut butter. 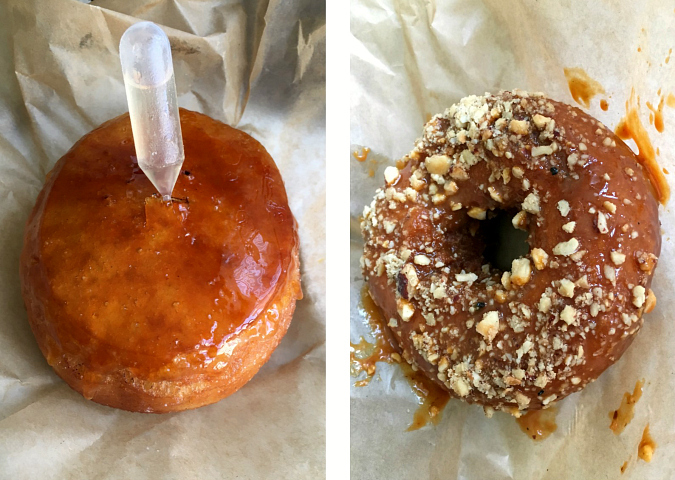 (the maple glazed doughnut and the mexican hot chocolate doughnut were both pretty good too.) all of the conference attendees were in a group food coma after that! all of the breakfasts were included in with the conference except for sunday morning. so on sunday morning we woke up, grabbed our umbrellas, and headed out in search of a place to eat only to find that most restaurants (except starbucks) were closed. we did stumble across red star tavern and they were open. i'm so glad we found this place. the food was really great and the service was awesome! i'm still thinking about their strawberry jam on the sourdough toast, yum! one night we were in search of a light dinner and decided to give thai peacock a try since it had good reviews. our meals were delicious, but they were anything but "light." 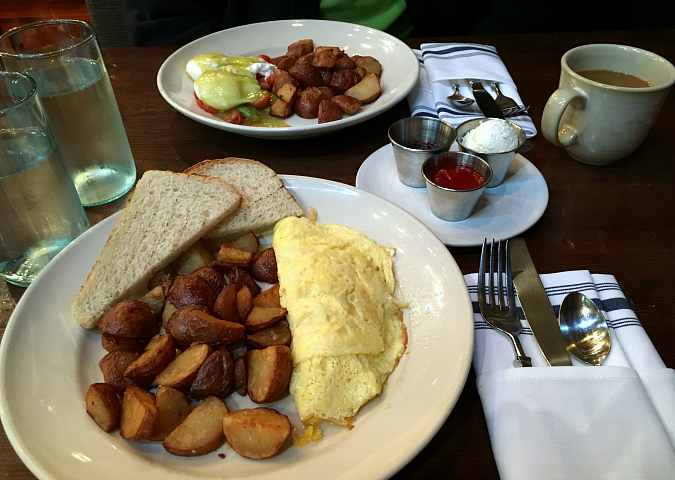 the portions were huge and the prices were so reasonable! i had the khao pad sapparod (pineapple fried rice with tofu, egg, curry powder, raisins, cashews, peas, carrots, scallions, and bell pepper) and ryan had the pad khing (ginger stir-fry with tons of fresh veggies). 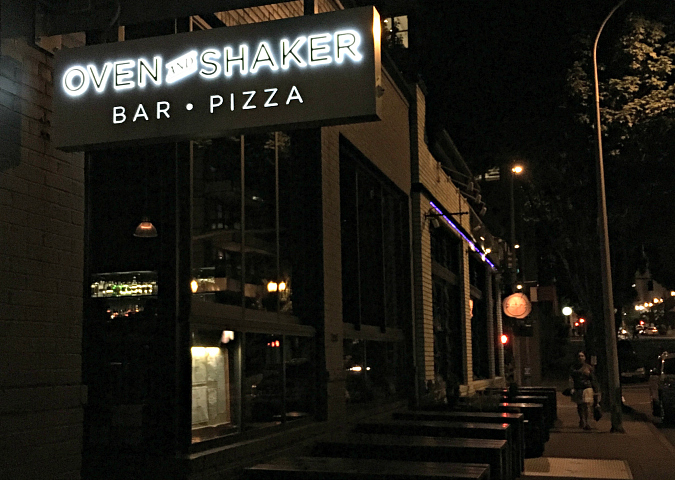 we grabbed pizza one night at oven and shaker and it was so good. we're huge fans of that style of pizza. 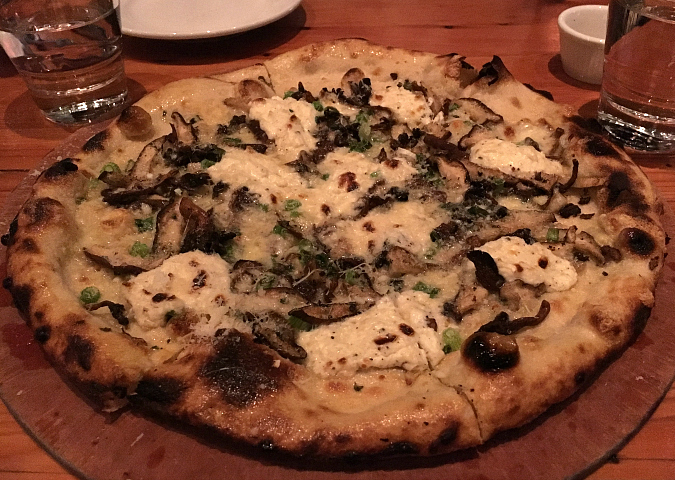 ours had mushrooms, garlic, scallions, ricotta, and fontina cheese. 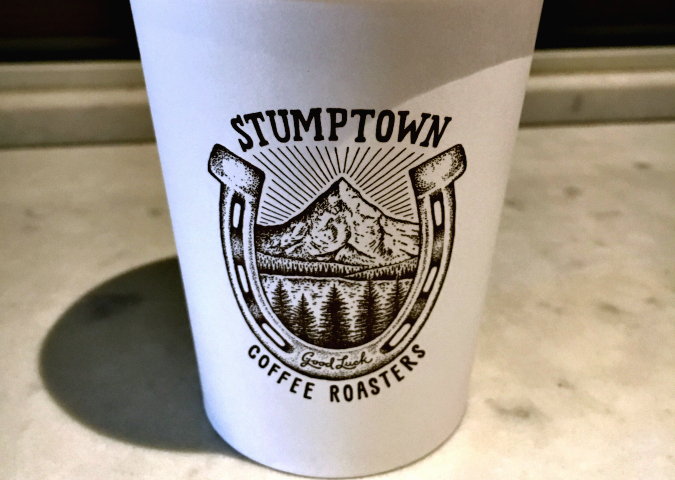 portland is known for their coffee, specifically stumptown coffee. 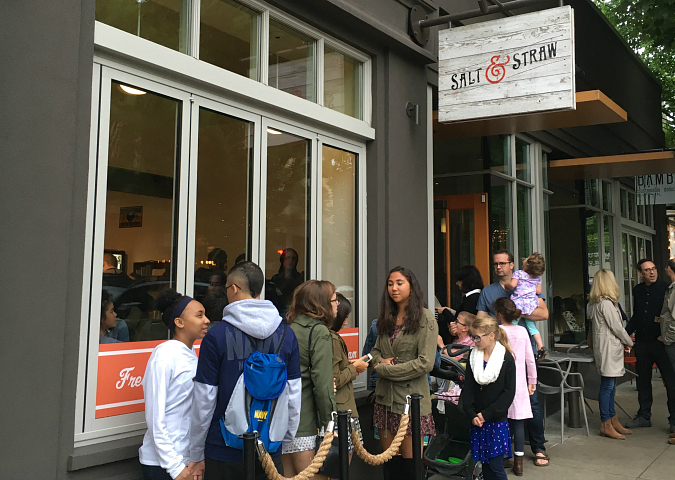 most restaurants in the portland area sell stumptown. we made sure to pay a visit to the stumptown cafe in the lobby of the ace hotel. (we have actually visited the nyc location of stumptown in the lobby of the ace hotel in manhattan too!) it sure was good coffee! other place we ate that were worth noting but that we did not take pictures of included sizzle pie (their vegan pizza was the best vegan pizza i've ever had), little river cafe (where we grabbed sandwiches one day on a quick lunch break between conference sessions, and bridge city cafe (where we also grabbed lunch one day and were pleasantly surprised to learn that we got free chocolate chip cookies with our lunches)! needless to say, after all of that eating in portland we have been trying to be really good this week to balance it all out! wow, you sure can find some delicious looking food. I probably would even like those donuts, because I am not a real donut fan but those look delicious. The vegetable dish I would like to try. Now I am hungry for really good food. This post definitely made me hungry! I can't believe all the places you tried in such a short time!